I have to say a big thank you, for all the support on my previous post. I think for some people it is really difficult to talk about their problems with anxiety or mental illness, so if I can just encourage one person to speak up then it will be worth it. There is no need to be embarrassed or suffer alone, no matter what you feel, there will be someone who understands you. Since I had been so anxious for a few weeks, all the times I went out felt like a bit of an ordeal (reminder to self: you survived all those 'ordeals'), I felt I deseved a nice winter walk when I felt better. 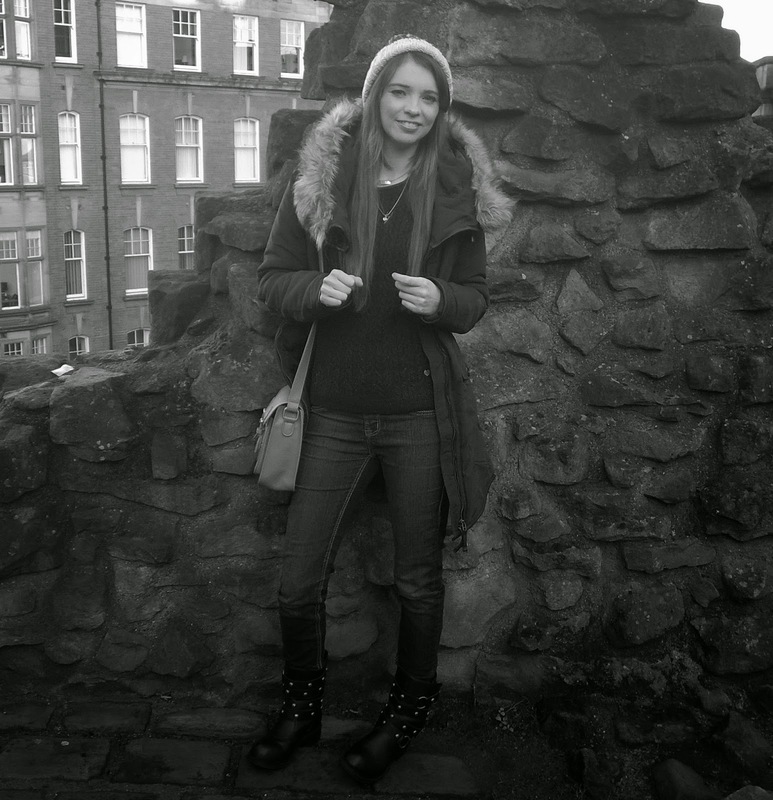 A trip down to the Sunday quayside market, passing through the castle keep, on a cold fresh day, was a real pick me up. Jumper, White Stuff - Same Here. Biker Boots, New Look - Same Here. Parka, Noisy May - Same Here. Satchel, Nice - Similar Here. 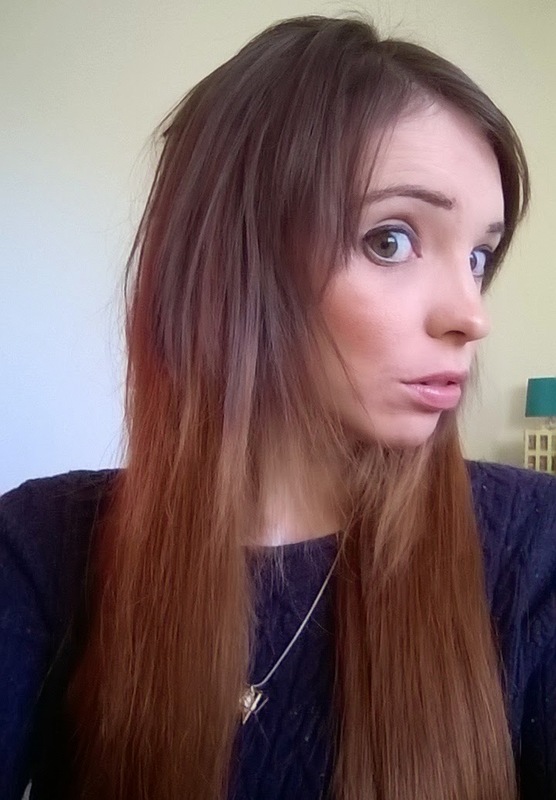 Hair Extensions - Competition win from Wonderful Hair. 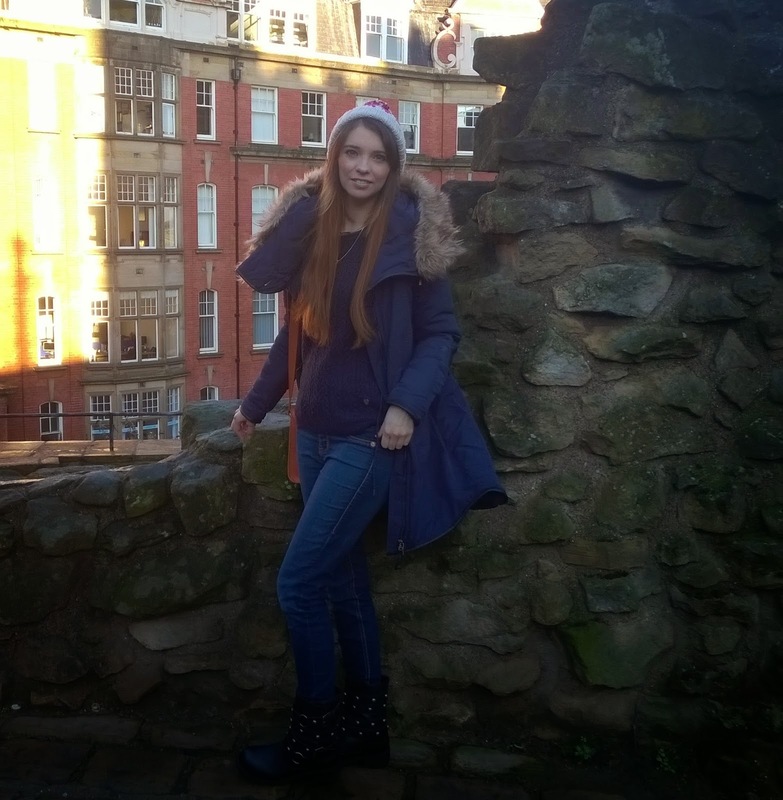 The parka was a fabulous sale find from ASOS and it is now only £20, so get your hands on it quick - it is super warm, and appears to be waterproof, which is going to be useful in the North East of England. Everything else were Christmas gifts (how luck am I? ), including the gorgeous satchel from Nica, it was love at first sight. And thanks to the super quality of my real hair extensions from Wonderful Hair, I have realised that bad hair days are a thing of the past. A few clips and I have long glossy locks to make a mermaid spew up her seaweed in jealousy - take that Ariel!! How have you been keeping warm on these cold winter days? I love the pictures - I've seen so many winter walk posts - it's obviously the week for it. Wow you look amazing, the longer hair really suits you! So great you can just change your style now whenever you fancy it! One of my favourite things to do when I was visiting Newcastle was strolling to the Quayside Market on a Sunday, we would do it every time without fail. Since moving here I haven't really done it as much but I think I need to visit again soon, it's been ages! 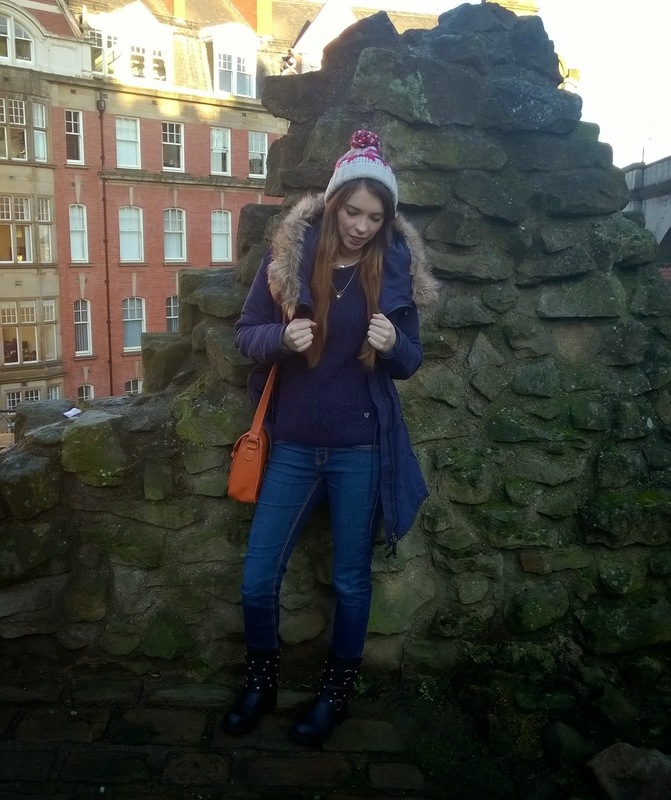 The castle keep is looking gorgeous, as is your autumnal outfit, just perfect for a wintery walk. 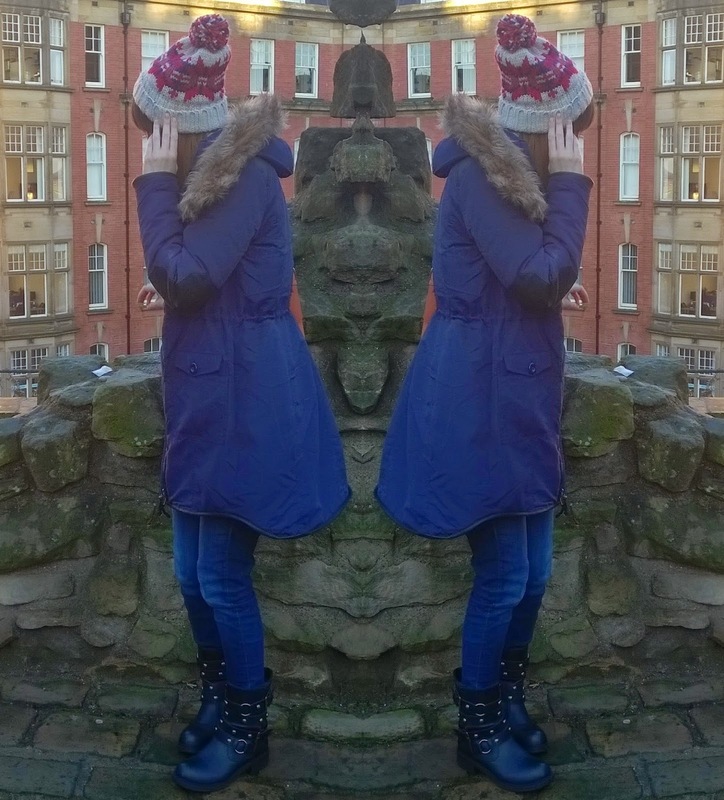 The pop of burnt orange is so stunning from your satchel and I adore your bobble hat. Everything just goes gorgeously! Love your orange bag! You can't beat the Quayside market - perfect for Sunday morning stroll's. We haven't been in a while so I must visit again soon. I'm sitting at my computer in the small room I call my study with the central heating on, but my hands are still cold. I've made use of my husband's socks, which he threw out after developing holes. I cut the foot off and slid the ankle section over my hands, which leaves my fingers free to type. Trendy? We make our own fashion. hehe.